Looking for a creative way to reach your audience? 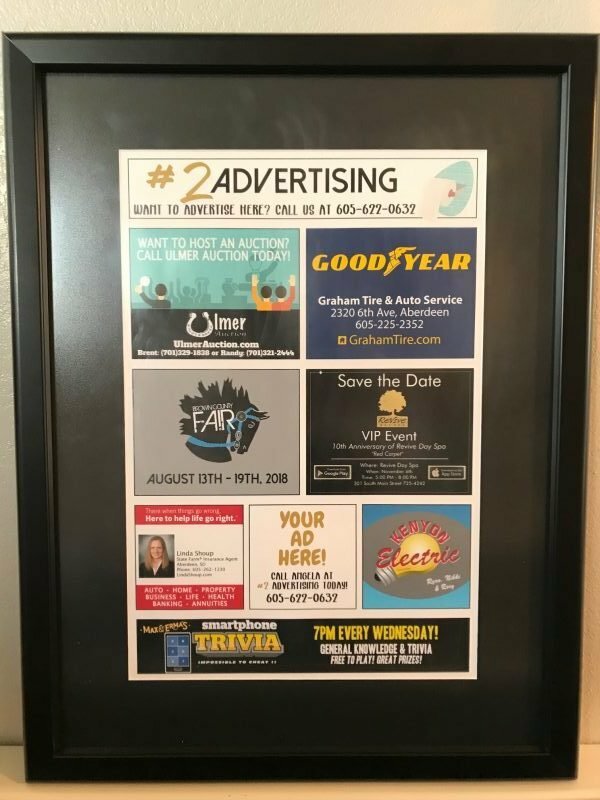 Bathroom advertising with #2 is a fun and unique way to reach your target market! Your captive audience will love having something to read. Let #2 Advertising design a full color ad that gets your business noticed! Large Ads: 5.75" x 4.5"
Starting at $69/month for 12 months at 3 locations, $89/month for 12 months at 6 locations. Starting at $49/month for 12 months at 3 locations, $69/month for 12 months at 6 locations. Want to advertise here or have a board installed at your restaurant?